Your Kind of Bingo – Play Today! 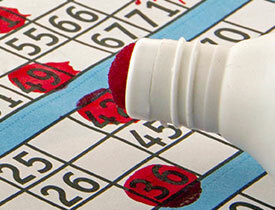 Bingo lovers just love to play at Jerry’s Nugget where you instantly become part of the family. 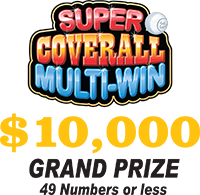 Big payouts, super jackpots, daily specials and MoreClub members get monthly Bingo Bucks worth hundreds in free Bingo play. 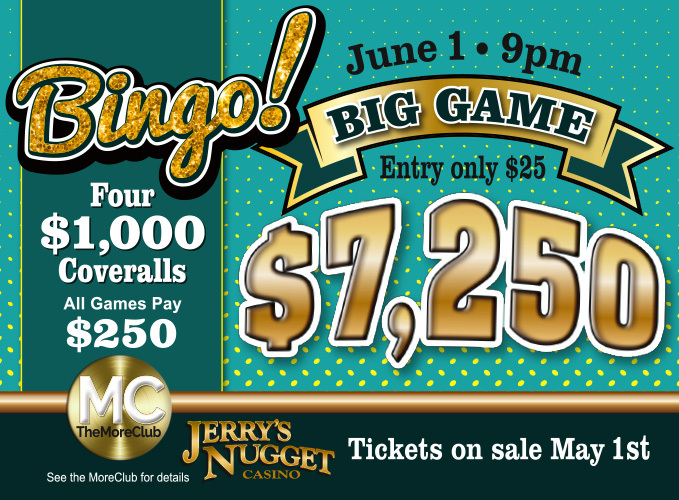 Jerry’s offers six Bingo sessions daily at 11 a.m., 1 p.m., 3 p.m., 5 p.m., 7 p.m. and 9 p.m. and late night double pay sessions on Fridays and Saturdays at 11 p.m. With fresh coffee and donuts every day at the 11 a.m. session and with continuous complimentary beverage service Jerry’s is the place to be for all your Bingo action!